Yamaha has updated the popular MOX Series with the latest MOTIF XF technology by adding more sounds, more effects and even a Flash board option slot. Because its compatible with MOTIF XF and MOX data, MOXF has a huge collection of sound and sample libraries and optional software available right away. Expandable, portable, affordable, and compatible with a wide range of other products, these instruments bring MOTIF music production power to a whole new generation of musicians and producers. 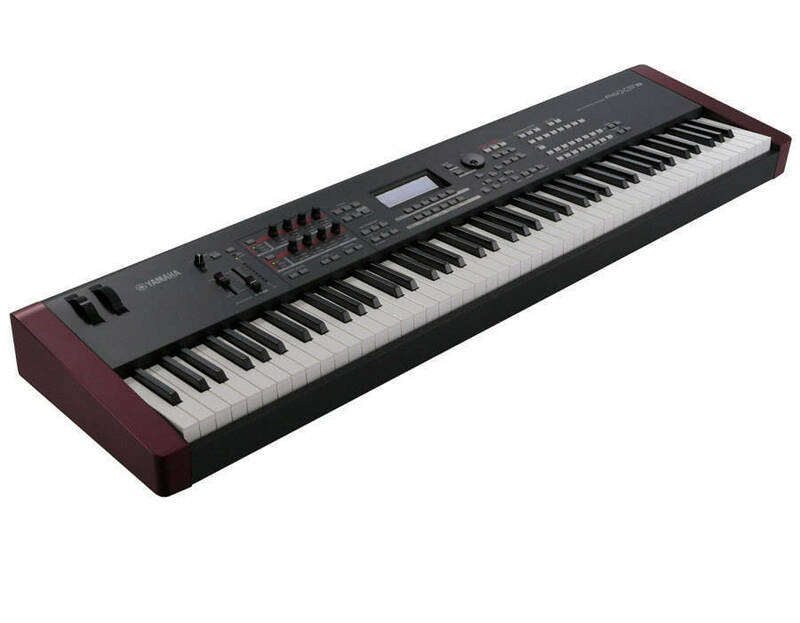 The MOXF8 features an 88-key GHS keyboard that provides authentic, realistic keyboard response - much like the playing feel of an acoustic piano - with a heavy touch in the bass register that changes to a lighter one in the treble, and a natural gradation of touch in between. A lightweight body (14.9kg) means that carrying the MOXF to rehearsals or gigs is easy - pound-for-pound these are the most powerful workstations Yamaha has ever made. Yamaha's proprietary VCM (Virtual Circuitry Modeling) technology simulates the effects of vintage EQs, compressors, and phasers at the circuit level. This technology has enabled Yamaha to improve the quality of the instruments in the MOXF by modeling the sonic texture of vintage analog compressors, EQs and stomp boxes right down to their component transistors and resistors. The MOXF also puts the high-quality effects found in Yamaha's industry-standard digital recording consoles at your fingertips, as well as the award-winning REV-X reverb found in the SPX2000. 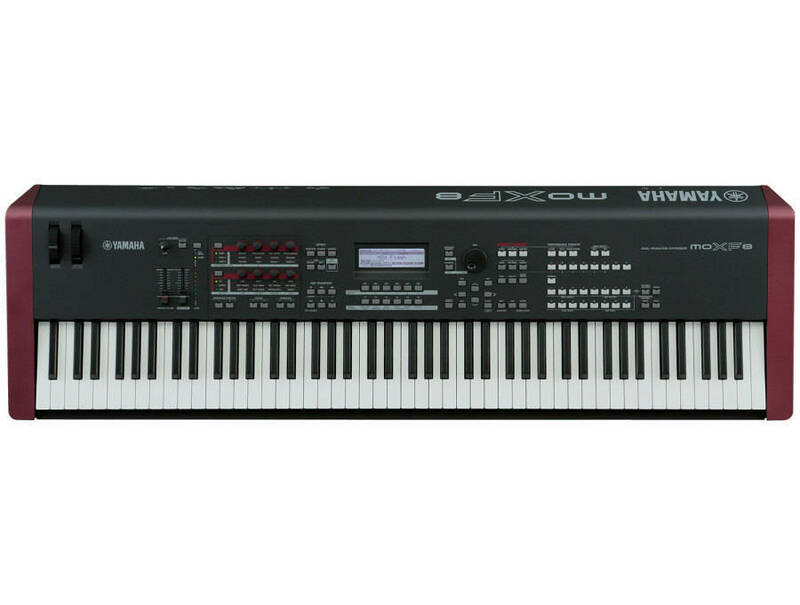 It even comes equipped with vocoder effects, allowing you to connect a microphone to the MOXFs A/D input terminal and apply effects to your voice or create stunning harmonies. The MOXF is compatible with the sound content developed for the MOTIF XF and MOX. The optional Flash board lets you add up to 1 GB of new samples to your MOXF to customize and tailor your sound set to your needs, using promotional contents like Yamaha's "Inspiration In A Flash" and "CP1 Piano," as well as the many third party libraries for sale. A single USB cable is all you need to transmit both audio and MIDI data between the MOXF and your computer. The MOXF features a built-in 4-in 2-out USB audio interface so you can record its internal sounds, and two dedicated audio inputs that can be used to capture guitars and vocals all recorded directly to your computer. Compatible with all the major DAWs including Cubase, you can digitally record the sounds of the MOXF and anything connected to its stereo analog inputs straight to your favorite recording software. Far more than just a music production tool, the USB connectivity and in-depth keyboard controller functionality also lets you playback and control your VST soft synths via the audio outputs of your MOXF, allowing you to integrate VSTs into your live stage shows with no extra gearjust add a computer and play. Cubase AI 7 is a version of Steinbergs DAW (Digital Audio Workstation) software made specifically to integrate with Yamaha music production synthesizers. Because the MOXF features both a MIDI and an audio interface you can record up to 32 audio and 48 MIDI tracks. You can even connect an analog mixer, microphone or guitar to the analog inputs, you can record any instrument to your computer via the MOXF. With built-in effects and the ability to control up to 16 VST instruments, Cubase AI lets you perform the complete computer music production process, including notation, scoring, and automated mixing. Prologue is a wonderfully rich-sounding virtual analog synthesizer that will become an indispensable part of your VSTi arsenal. Prologue's textural range includes lush, detailed pads and bright, acerbic leads and everything in between. 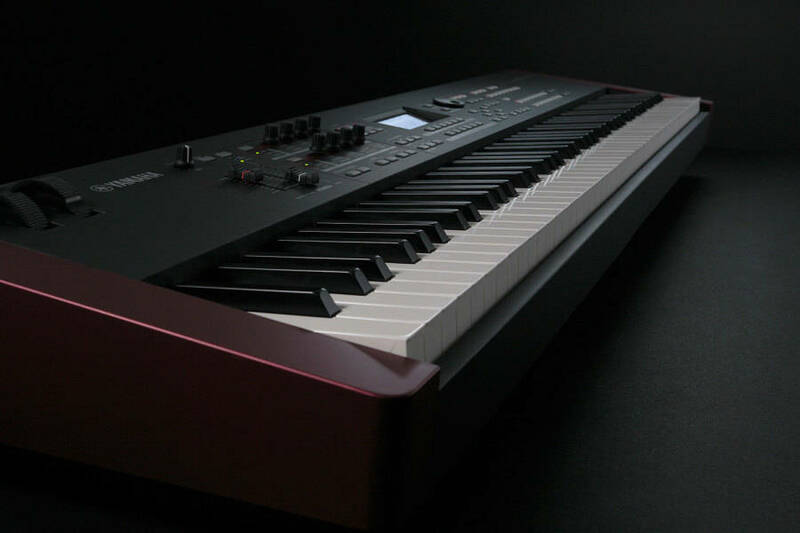 Prologue s intuitive user interface provides full editing capabilities with access to its three oscillators, powerful multi-mode filter, four envelopes, two LFOs, a powerful modulation matrix, and onboard effects. And because Prologue is polyphonic with up to 128 voices, you'll (probably) never run out of creative space.